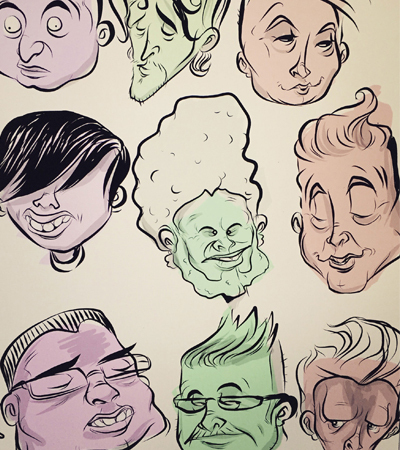 James Black draws digital caricatures, focusing on the people he sees daily in Albuquerque. His friends, family, and community. Random faces, memorable expressions, and unforgettable mugs. He is obsessed with creating a quick process for capturing likeness. He uses an iPad pro, to create clean, stylized images and the process is recorded as he draws. The exhibition will feature prints of these caricatures, along with video loops of the recorded renderings.